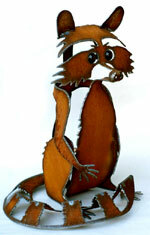 Snappy Ginger Cookies...award winning, all natural ginger cookies! 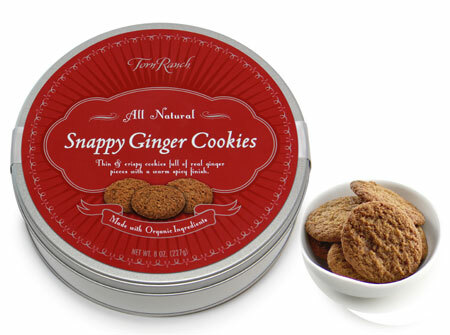 Torn Ranch Snappy Ginger Cookies are thin & crispy ginger cookies full of real ginger pieces with a warm spicy finish. Snappy ginger cookies are bite size spicy & crunchy cookies made with only the finest all-natural ingredients available! Packaged in a contemporary tin designed for sharing or gift giving. Torn Ranch Snappy ginger cookies are made with organic flour, organic cane sugar, fresh local eggs & butter, molasses, ginger pieces & ginger flavor. Today, at Torn Ranch, they still carry out their "hands-on" bakery concept...it is what sets them apart! Torn Ranch Snappy Ginger Cookies. Packaged in a contemporary tin. Award winning Snappy Ginger Cookies, made with pride in California.